With The Reserve team opponents pulling out at the last moment, a skillfull looking Wycombe Town Reserve Squad took the opportunity for a useful warm up training match prior to the First teams match against the new FC Wycombe FC on the Cressex Astoturf. 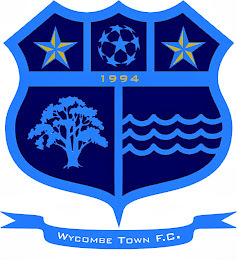 Towns first team were debuting several new players along side existing players such as 'Boxer' Nicol, Vinny Cuva and Paul Shone etc and started slowly with players getting used to one anothers play and FC Wycombe took advantage of this and raced into a 3-0 by half time. The second half was a different story and 'Town' took control scoring five, to end up 5-3 winners. With more pre-season games arranged things are looking good for the coming season for both our teams. RESERVES POSITIVE START TO THE NEW SEASON!